Ma wants to let 'younger, more talented people' take over. Jack Ma, the co-founder and executive chairman of Alibaba, has confirmed he will step down a year from now. Ma sent a letter to the e-commerce giant customers and shareholders, to confirm his exit and the timeline how he plans on doing it, with Daniel Zhang, currently Alibaba chief executive, taking over. Ma founded Alibaba, one of the largest e-commerce companies in the world, in 1999. In the letter, written on his 54th birthday, Ma said it was his responsibility to let “younger, more talented people” take over in leadership roles, and that he hopes to achieve a “smooth and successful transition”. Ma won’t be abandoning the company altogether, though. 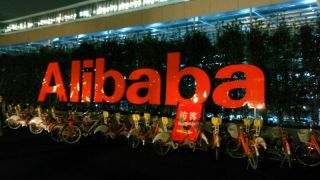 He will remain on the company’s board until the annual shareholder meeting in 2020, and will remain a permanent member of the Alibaba Partnership. According to the media, but also Mr Ma himself, he wants to go try something different this time.